I would like to take this opportunity to introduce myself and give you some background information on the Phoenixville Area Police Athletic League (PAL). I am James E. Deoria, founder and Executive Director of the PAL (my friends and family call me Jimmy). I am also a police officer with the Schuylkill Township Police Department. I have been with this force since 1991. 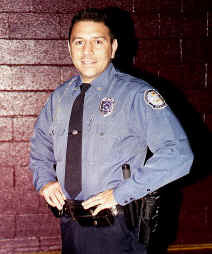 Prior to the start of my career in police work, I competed as an amateur boxer for eight years and fought professional for six years. During my amateur boxing career, I fought in over 100 fights all over the country. I also competed in numerous international bouts, including fights in Ireland and Canada. As a professional, I competed in 26 fights and finished with a record of 20-6 with 10 knockouts. My career peaked in 1993, with a victory over Gene Reed of Scranton, PA, for the PA State Lightweight Championship. During my 14 year career in the boxing world, I grew very fond of the sport. I realized that, although I would not fight forever, I could help other kids who were interested in the sport of boxing. As my experience grew in the role of police officer in the Phoenixville area, I began to think of a way to combine my knowledge of both careers and give it back to the community in which I have lived all my life. In early 1999, I looked into starting a PAL chapter in our area. PAL a non-profit juvenile crime prevention program designed to help keep kids off the streets and out of trouble. I contacted the National PAL headquarters in Florida and attended the Phoenixville Area Recreation Board meeting in February. I proposed the a youth boxing program through the start of a Police Athletic League Chapter, and asked the board for approval to use a portion of their facility as the PAL boxing gym. The board members unanimously approved both the start of the program and the use of their facility, the Phoenixville Civic Center. After receiving donations from the local community, endorsements from the three surrounding police departments and a charter from the National PAL, the first Phoenixville Area PAL opened with its first program, Boxing, on June 7, 1999. Since the start of the boxing program, hundreds of children between the ages of 10 - 21 have participated. The boxing runs year round and the boxers train daily Monday through Thursday between 5pm & 7:30pm at the Civic Center. The boxing program was just the beginning for our PAL chapter here in the Phoenixville area. We currently offer the following youth programs: boxing, wrestling, golf clinics and babysitting classes, which are offered throughout various times of the year. We have also hosted an intro to billiards program, chess club and a summer paddle program. Unlike other programs in our community, PAL offers a new dimension; a police officer. Studies have shown that if a child respects a police officer on the ball field or in the gym, he or she will likely come to respect the laws the officer enforces. If anyone is interested in learning more about any of our programs, please feel free to stop down at the Civic Center, at 123 Main Street, Phoenixville or call our office at (610) 917-3735 or email me at paljimed@yahoo.com.